I was working in a time frame to finish this drawing so I was not able to post it as a “moving” work in progress. 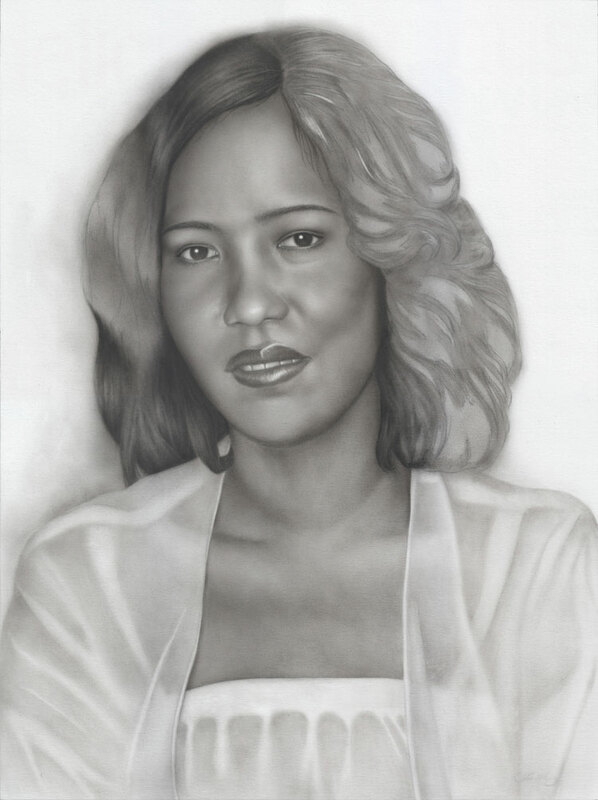 But I did manage to scan the portrait as I worked on it. 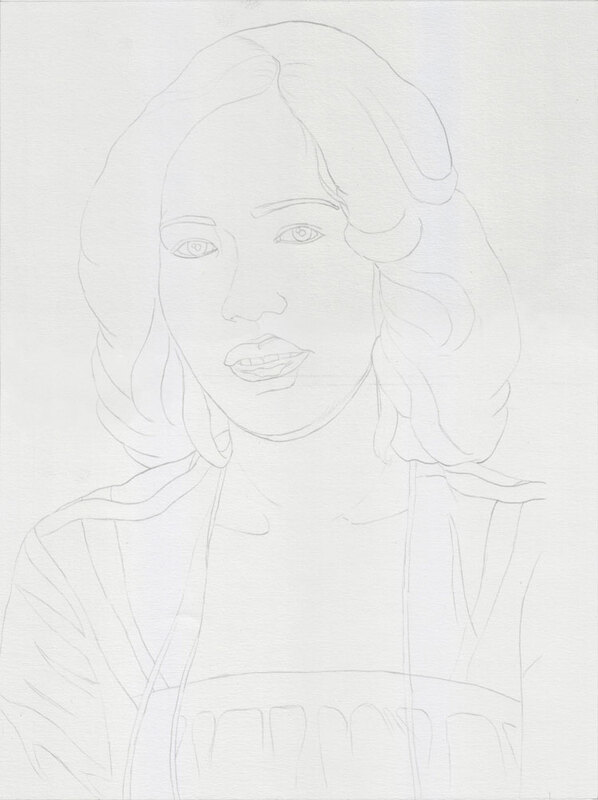 Here is the outline on acid-free paper. 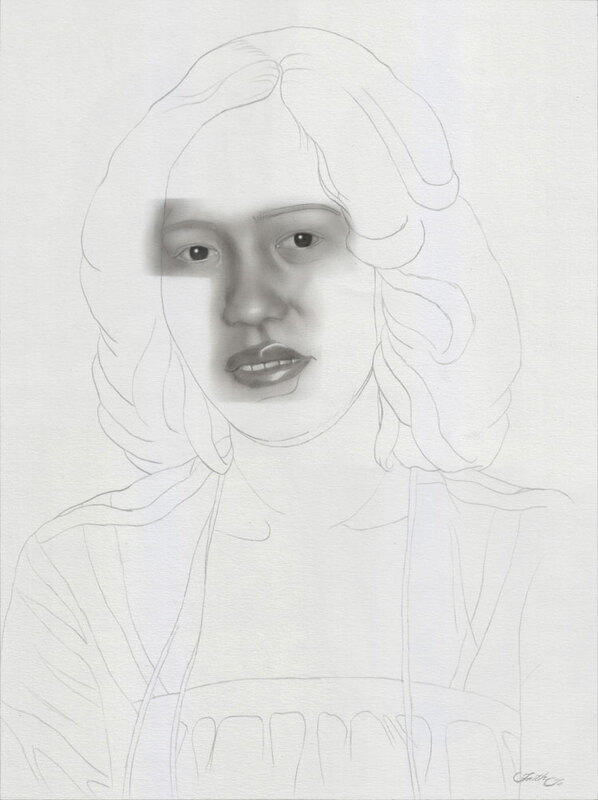 Transferred using graphite-coated paper. I cover my drawing with paper to protect it from sweat and oil from my hands, leaving open just the area I will be working on. This also helps me concentrate on one specific area at a time. I am using 2 sizes of a soft brush and a small watercolor brush to apply charcoal powder. The teeth were done by applying 2 or 3 light layers of charcoal powder using the soft brush and pulling out the highlights with a kneaded eraser. A nylon brush was used to apply charcoal powder on the shadow areas. This brush easily pushes the charcoal into the tooth of the paper. The eyebrows and irises were done using a charcoal pencil and smoothened with a homemade rubber blending tool. Leaving the face almost finished, I proceeded to do the neck and chest. I left the corrections and refinements for later. 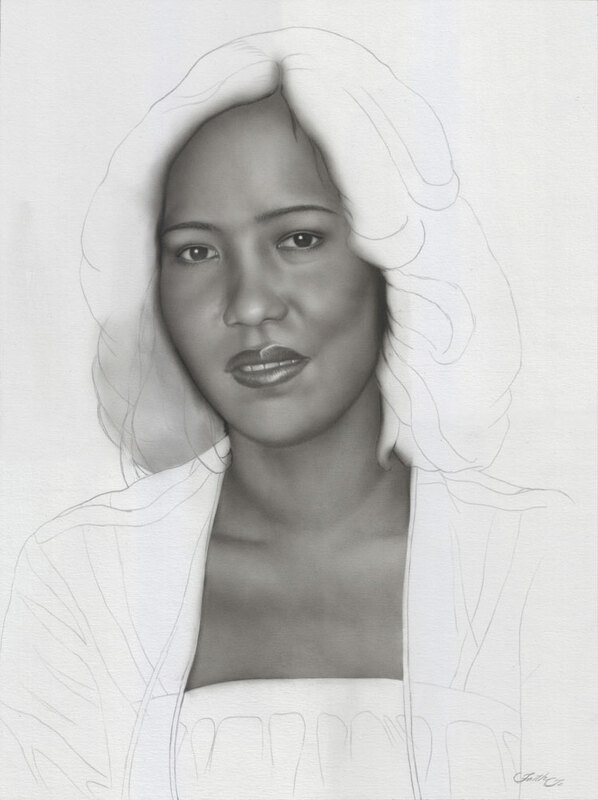 I’ve also started to lay down the initial tones on the hair using the larger soft brush and charcoal powder. Continued with the initial tones of charcoal powder. 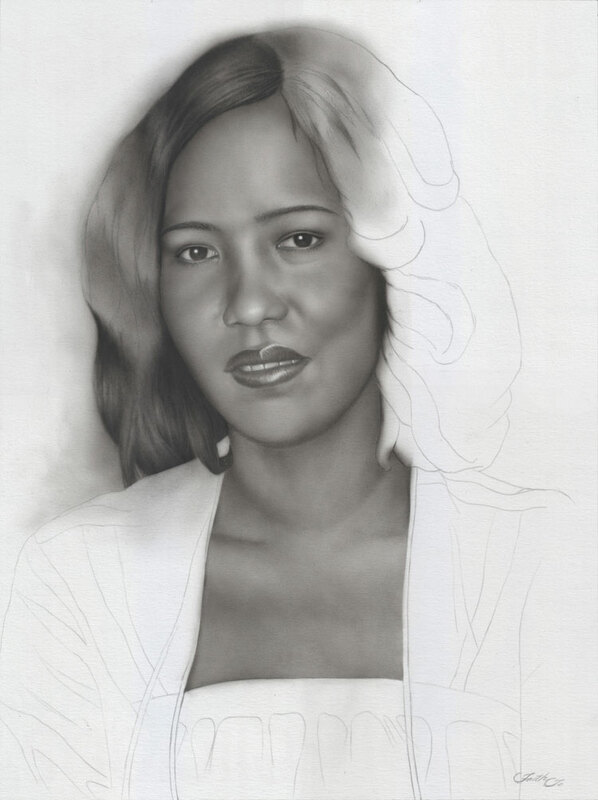 Since I will be adding a background to this portrait, I let the charcoal flow to the background area. I also started applying black pastel powder to the hair with the nylon brush. 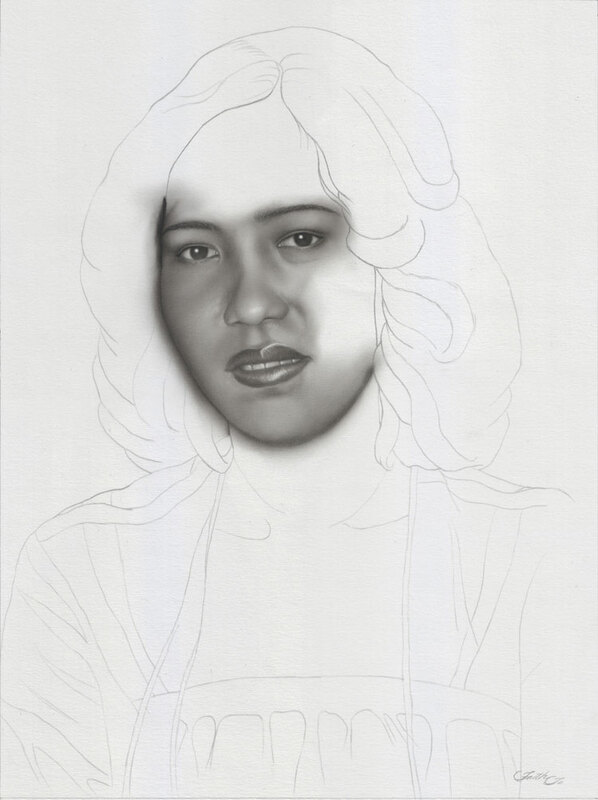 Here, the outlines of the highlights on the hair have been established. Then, I finished covering the rest of the hair area with initial layers of charcoal powder. The clothes were done using the same brushes used on the face but with small amounts of charcoal powder. Finished applying black pastel powder to the hair. I then used a kneaded eraser to pull out some highlights. I also continued to add more tones to the background. In this stage, “Portrait of Aunt Lisa” is finished. 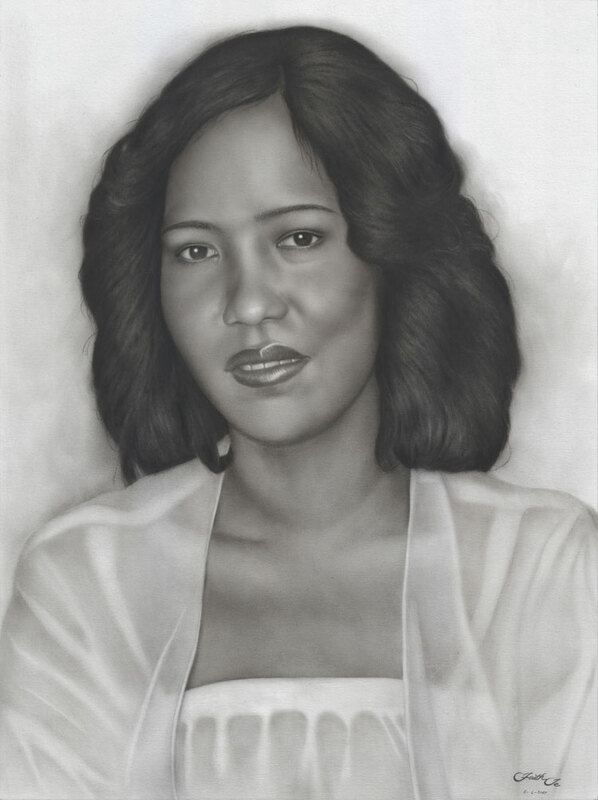 The background was further darkened and more stray hairs were added using the charcoal pencil. Also, some corrections and refinements were made. One of those was the cheek (viewer’s right). It was too prominent so I added more tones to the jaw. 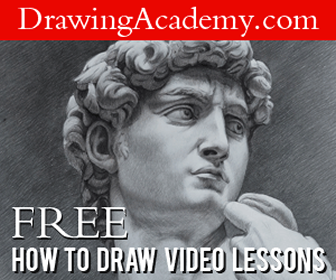 I hope you have enjoyed this step-by-step demonstration of a charcoal portrait. Thank you for viewing! I am interested in the materials and style you use with charcoal pencil/graphite. 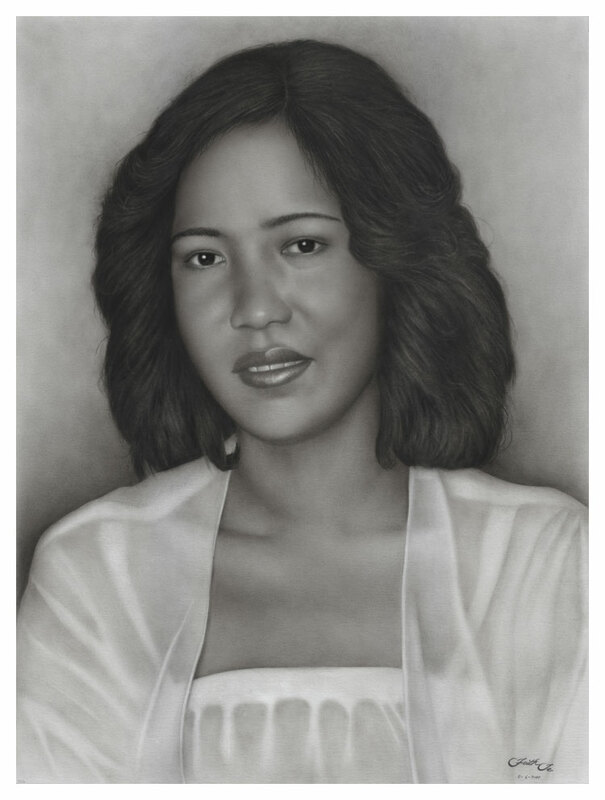 I have been drawing for years however am interested in going to oil painting. Please let me know what some of the cost will be for taking whatever lessons you may have available. Thank you.